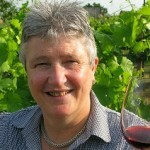 Carolyn has worked in all aspects of the wine trade. Starting in 1980, she worked for Edward Butler Vintners, a sherry company. Learning much about the region of Jerez, Carolyn became a sherry enthusiast. Later she moved to City Vintagers, an Independent Wine Merchant. Here she learnt her trade marketing wines, later becoming a sales representative, covering South East London, Kent and Sussex. In 1988, Carolyn went freelance, managing to combine her love of wines at the same time as raising a family. During this time she began to write for a number of consumer magazines in the South East. In 1994 she launched her own wine appreciation courses at the Blackheath Conservatoire, where her courses are delivered in an informed but relaxed style. She now runs her wine events and courses as well as the Blackheath Wine Club at Mycenae House http://www.mycenaehouse.co.uk in Blackheath. Carolyn is happy to talk on any wine-related subject, but through her travel experience, she does have several key areas of speciality (as listed below). She is happy to present to wine societies or clubs, and she undertakes tailor-made presentations to corporate companies, supermarket groups or generic bodies. Carolyn has been a member of AWE since 1997 and served as its Chairman from 2002 to 2005. She also lectures at Leiths Food and Wine school and judges both at the International Wine and Spirit Competition ( IWSC) and the Wine International Challenge (IWC). Spain, Portugal, Fortified Wines, Champagne, Sweet Wines, Food & Wine Matching.